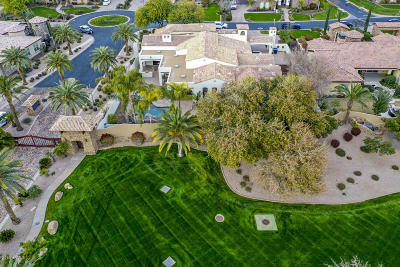 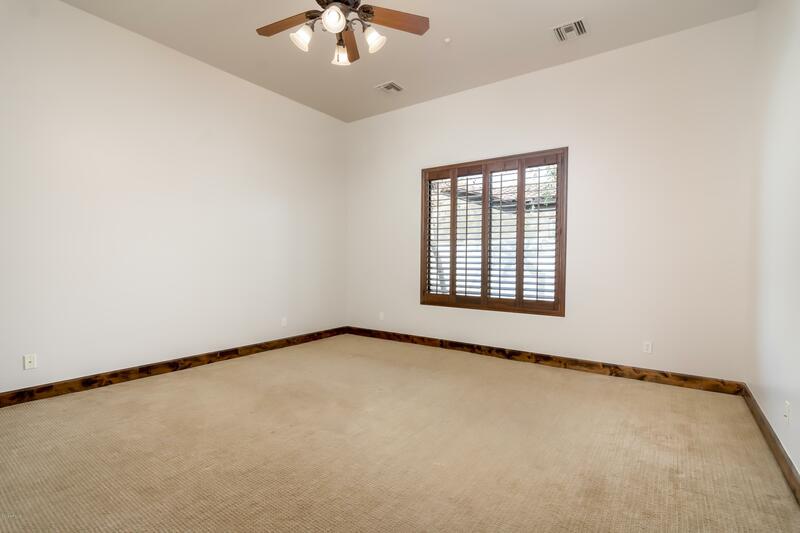 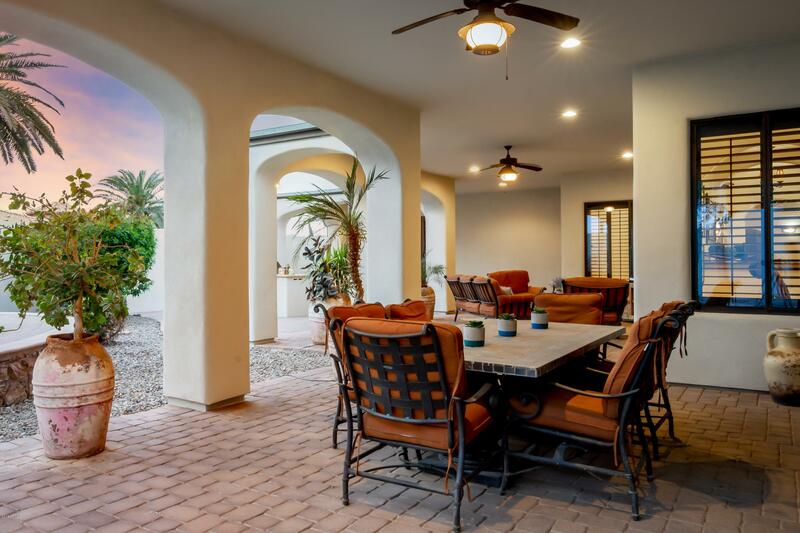 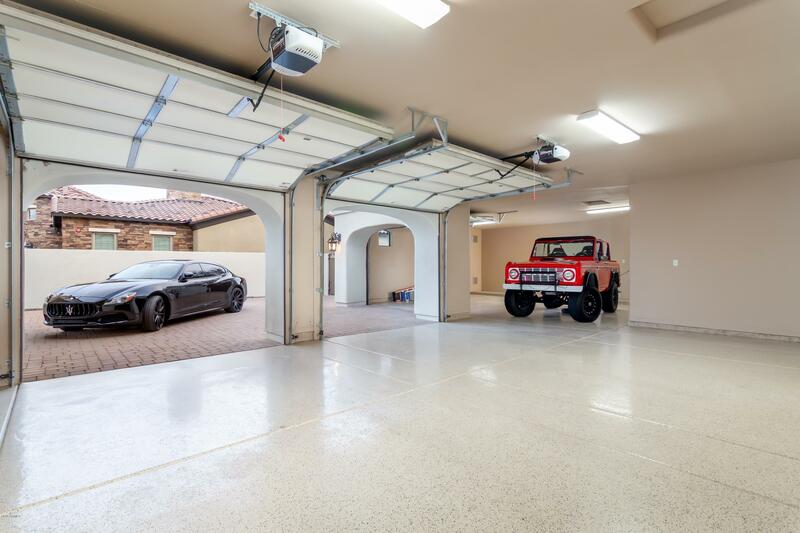 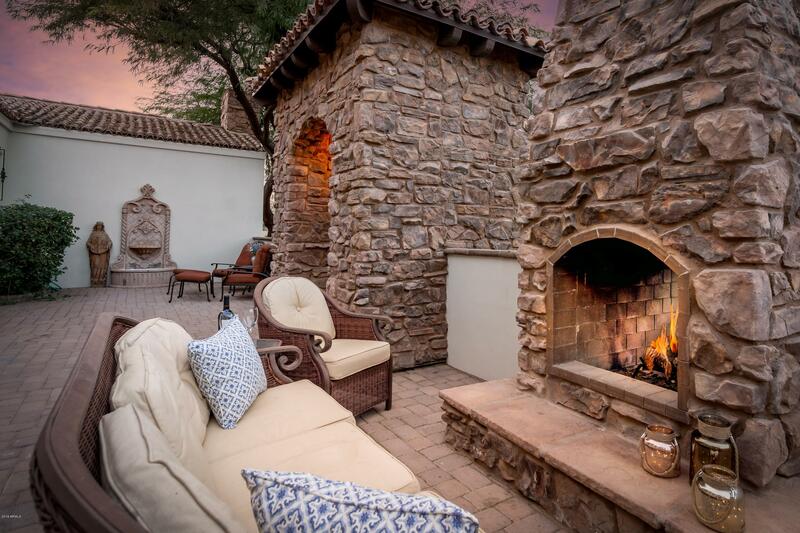 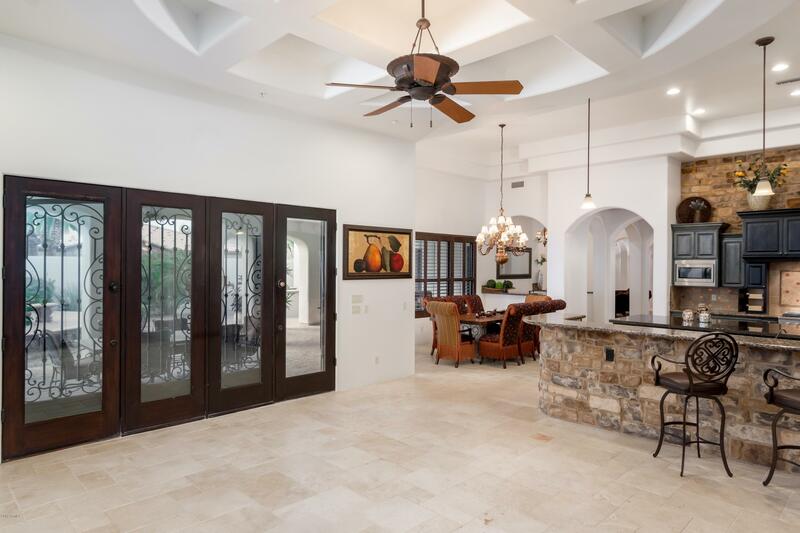 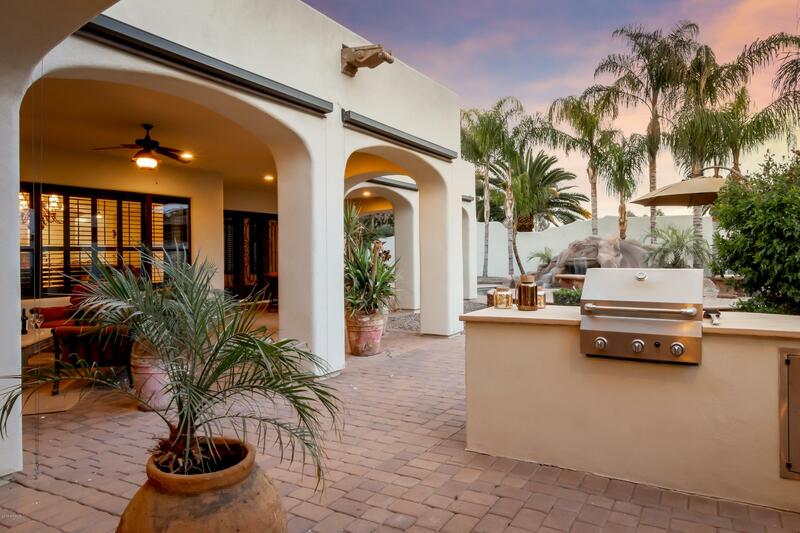 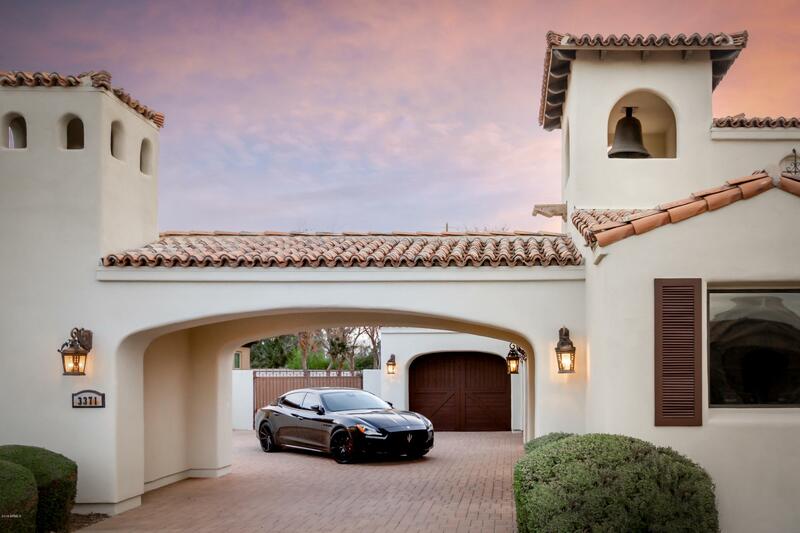 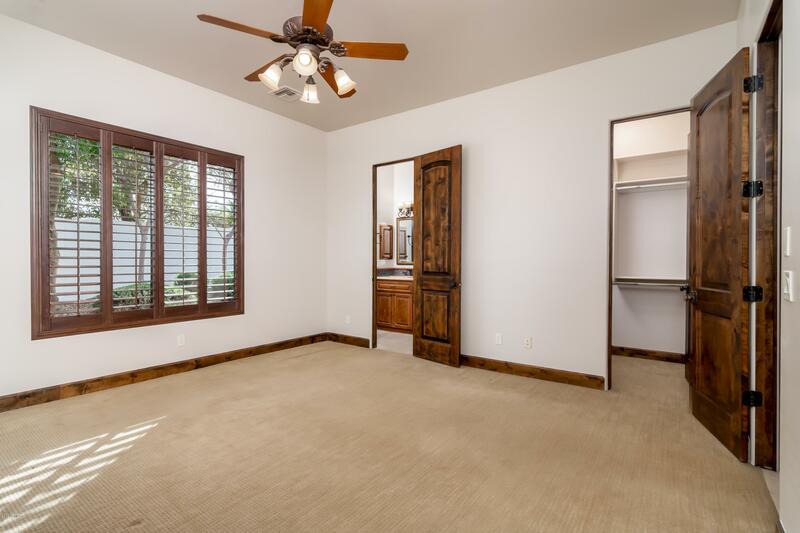 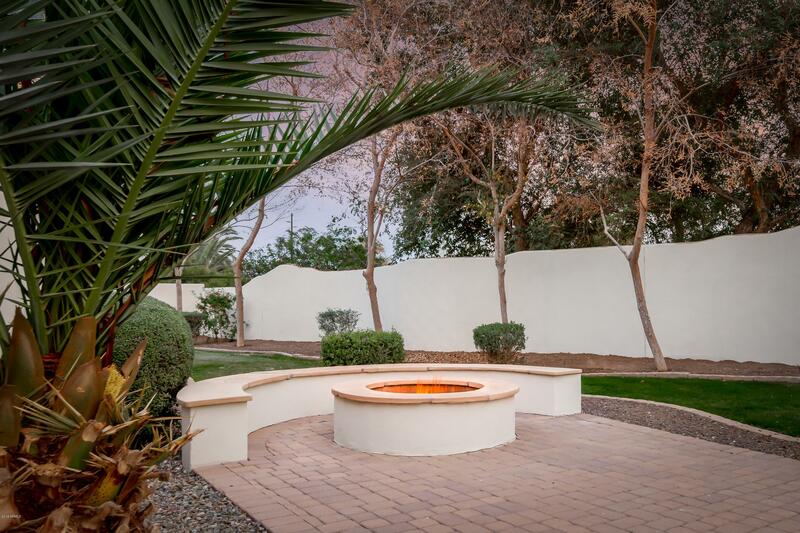 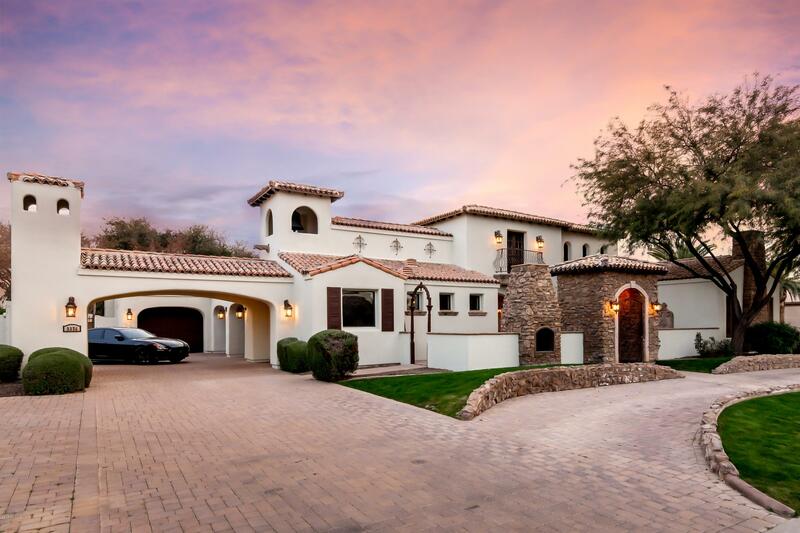 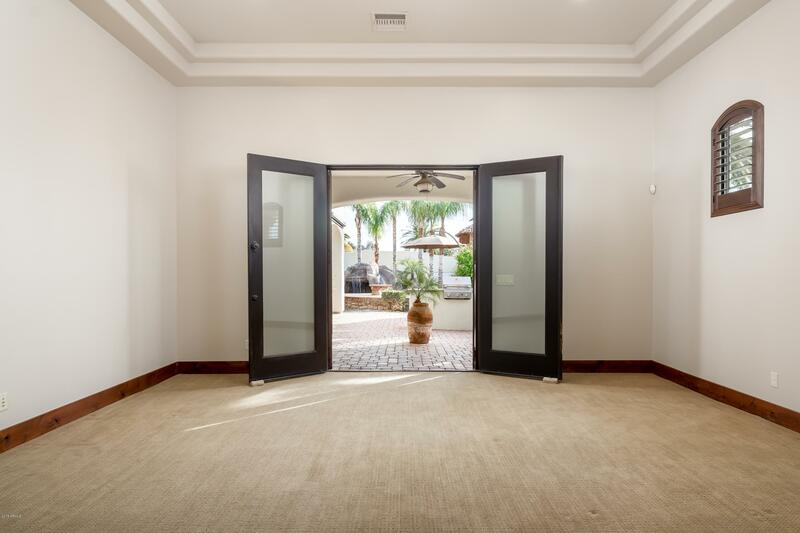 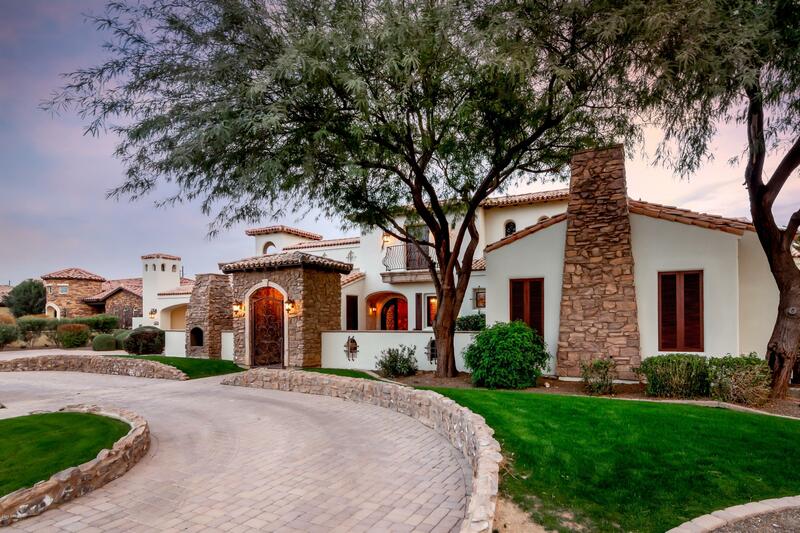 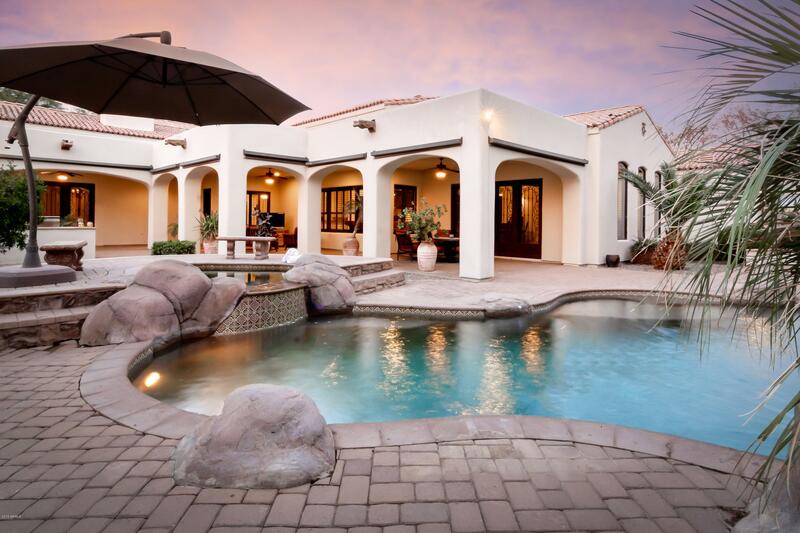 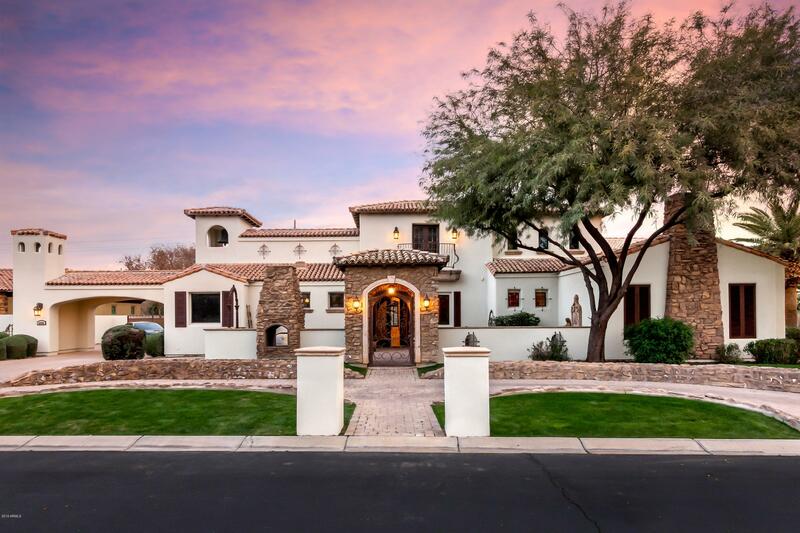 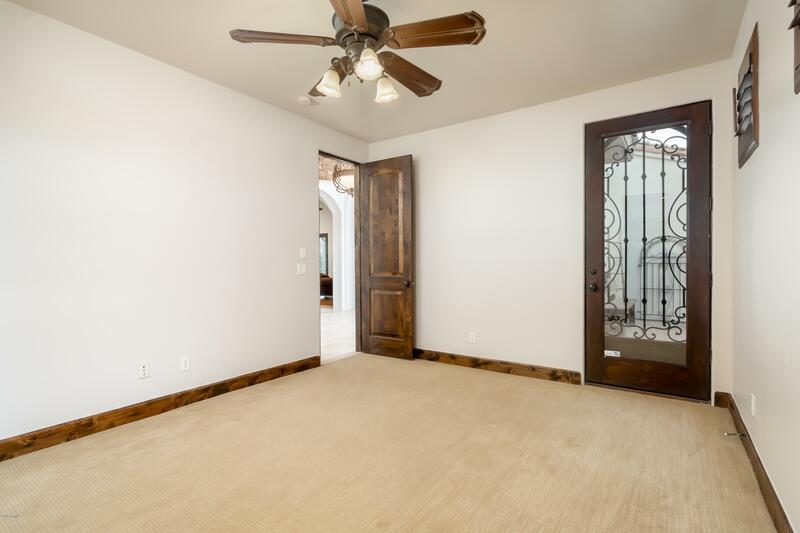 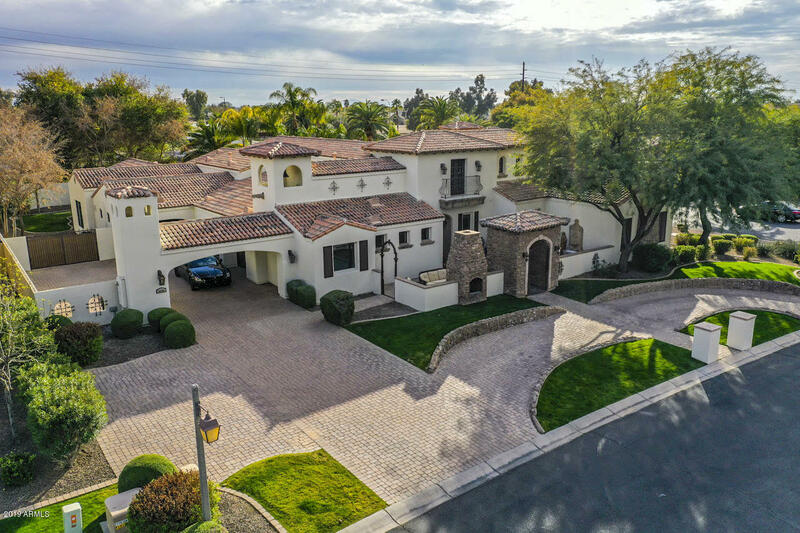 Welcome to Bela Flor, one of Chandler's ideal locations for those demanding a distinguished lifestyle within convenience of the best schools, restaurants, golf & many other conveniences. 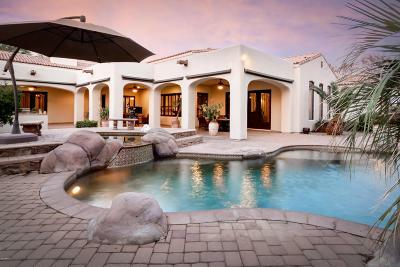 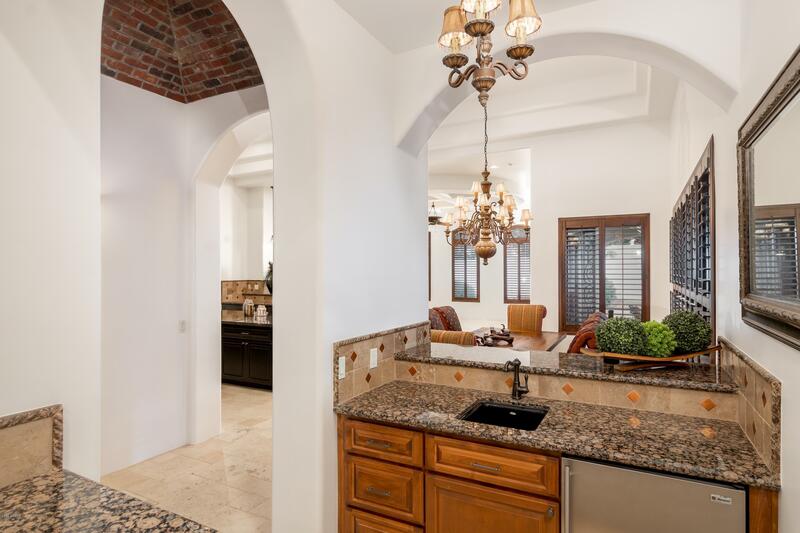 This 4 bedroom, 4.5 bathroom Santa Barbara/Tuscan beauty is architecturally stunning from the moment you drive up. 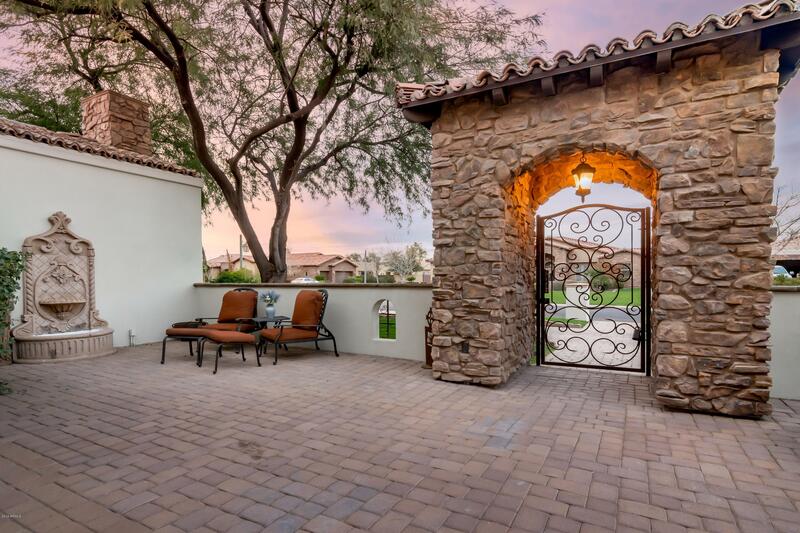 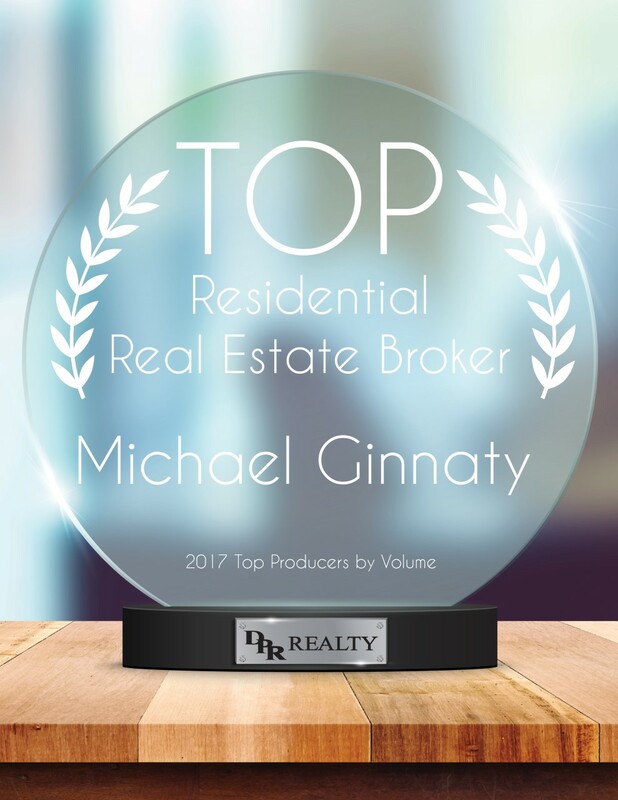 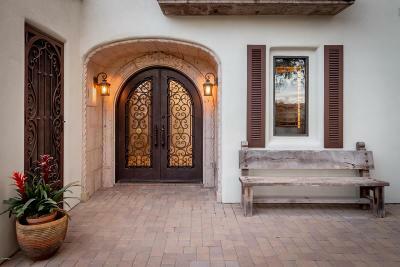 The picturesque & dominating home boast an iconic bell tower, canterra stone, iron accents & stone all complimenting the inviting courtyard w/fireplace, soothing water feature, to the grand iron entry front door. 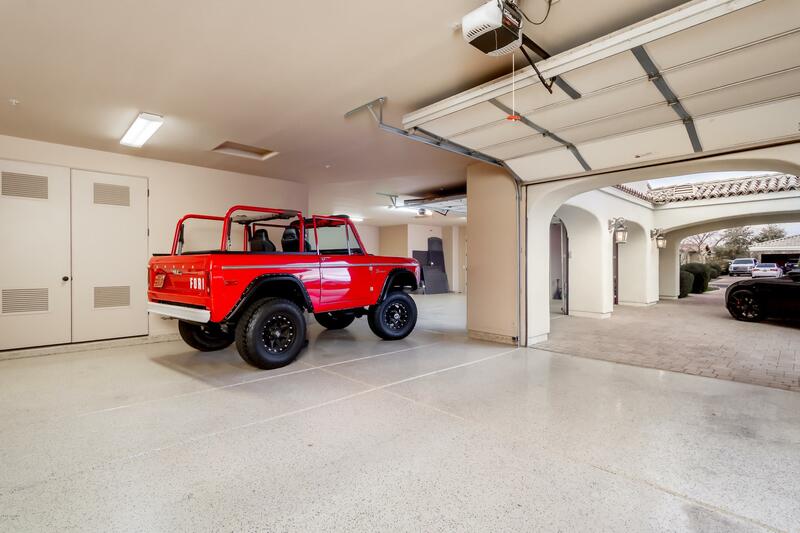 It all sets the stage to the even more satisfying interior. 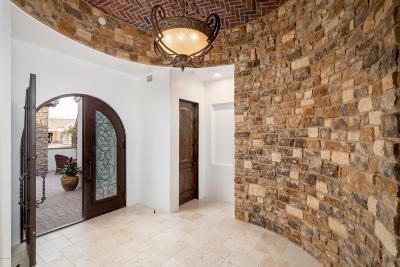 Enter the home into rotunda foyer w/dome ceiling enhanced in brick and you'll will feel as if you've entered a regal splendor. 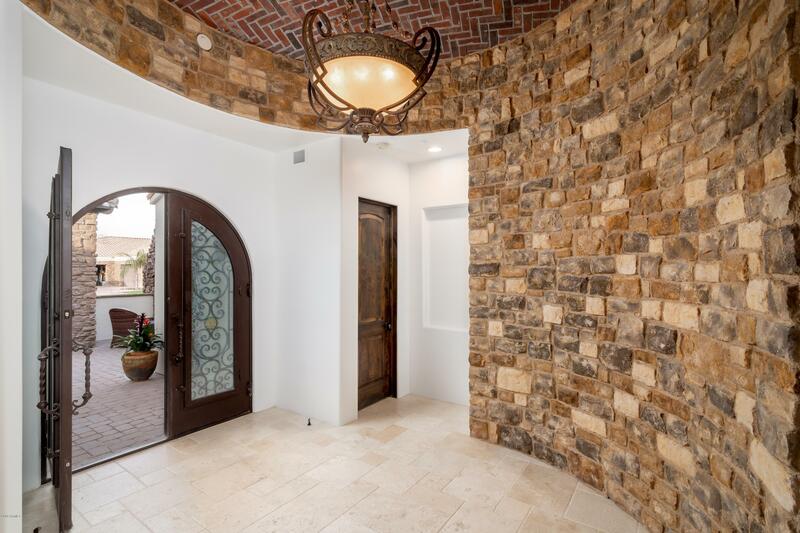 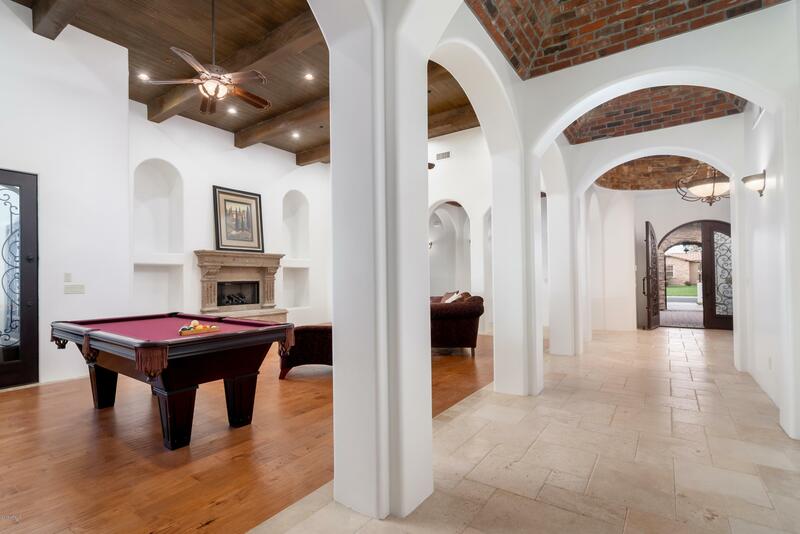 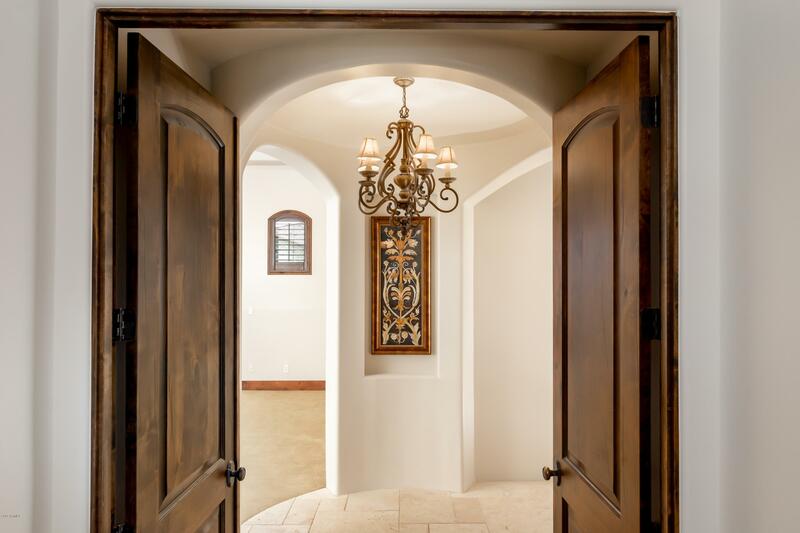 The finishes from foyer to hallway w/groin vault ceilings trim in brick stone truly is refined & inviting. 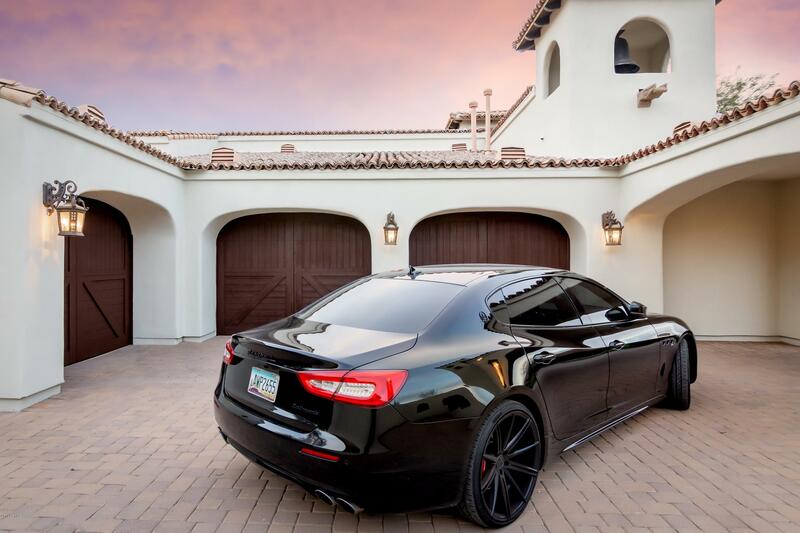 Absolutely all the best finishes one would expect. 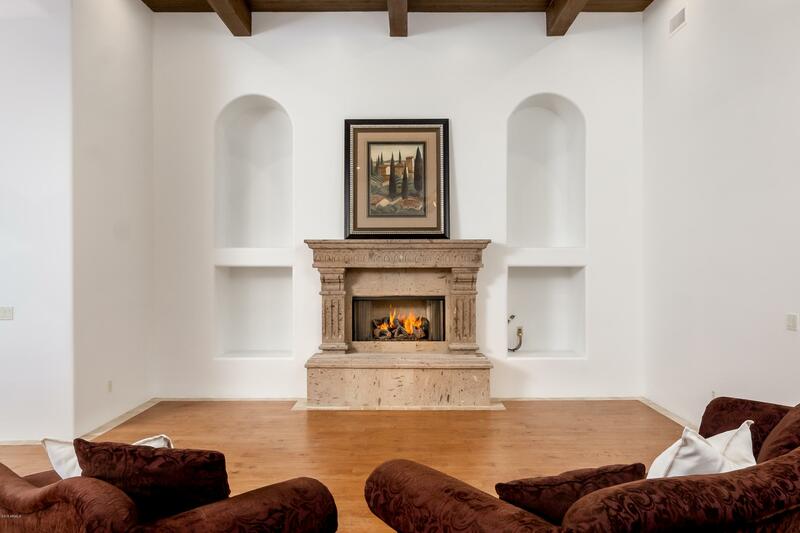 Main living room with tongue & groove wood ceiling accentuated w/wood beams, a majestic canterra stone fireplace & beautiful hand carved/scraped maple wood flooring. 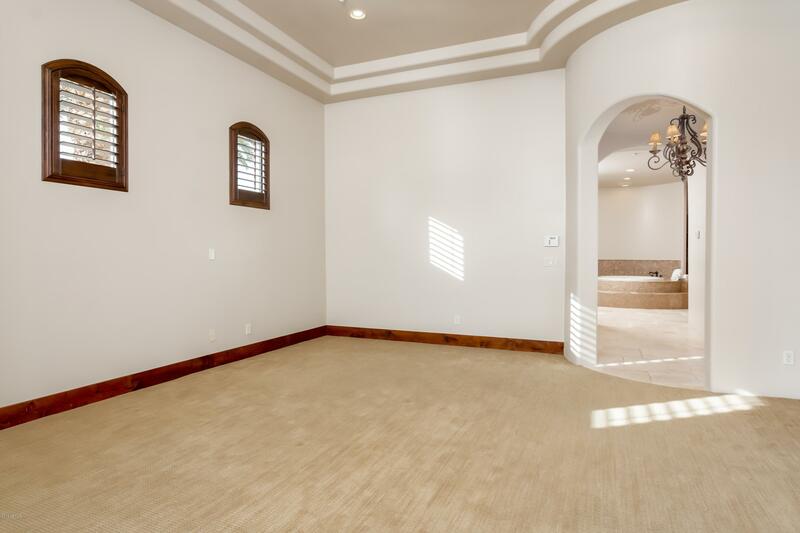 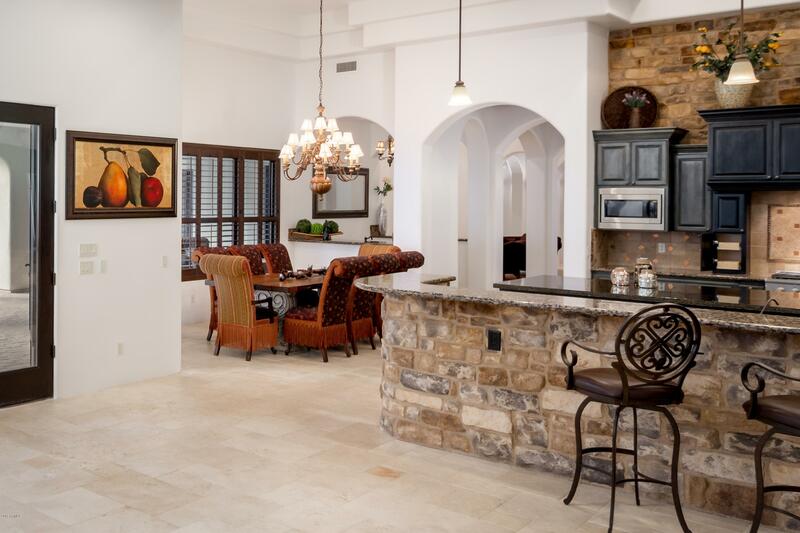 Turkish travertine & sculpted carpeting throughout the remainder of the main living areas. 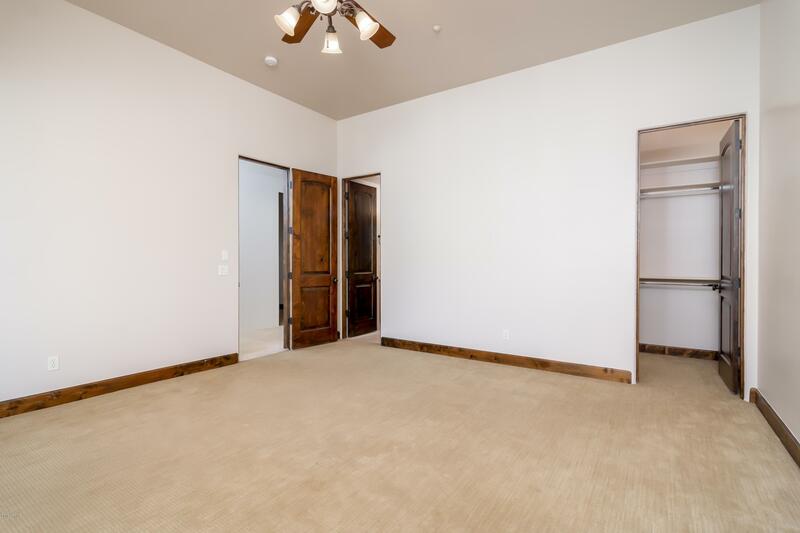 Entertainers floor-plan from billiard room area, dining room for intimate two dining or party of 10! 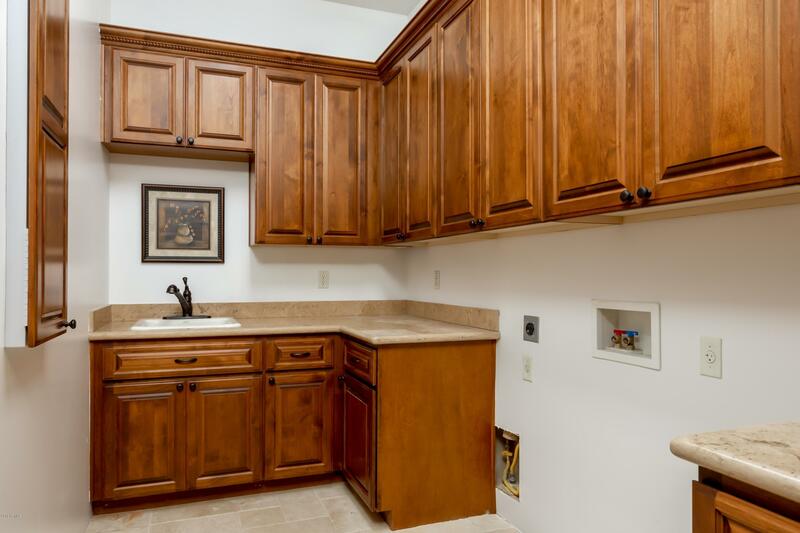 Wet bar area off dining has beverage refrigerator w/icemaker. 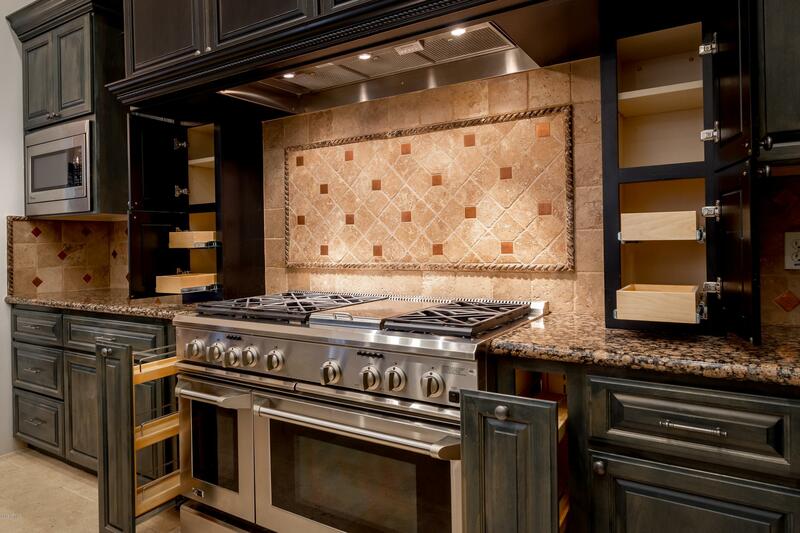 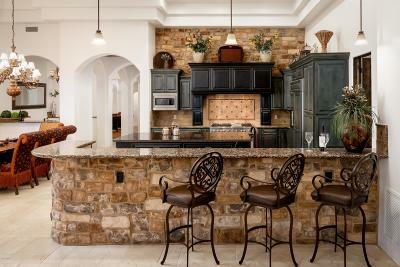 Chef's gourmet kitchen has amazing over-sized kitchen island. 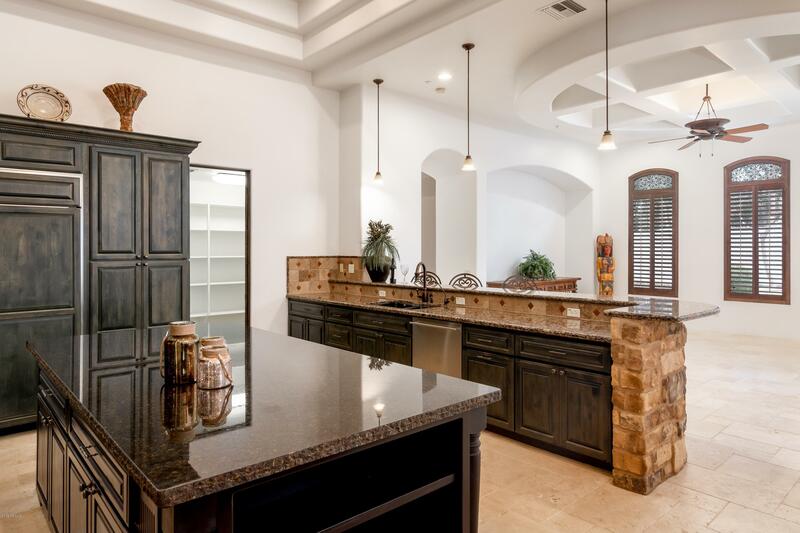 Kitchen is so complete & well planned from the ample furniture quality custom cabinetry w/self closing drawers, walk in pantry, SS GE Monogram 6-burner gas cook-top w/griddle, double oven, built in refrigerator & microwave. 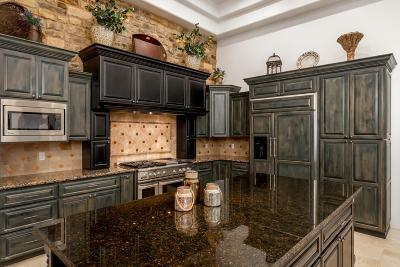 Dinner preparation will be a pleasure in this convenient kitchen. 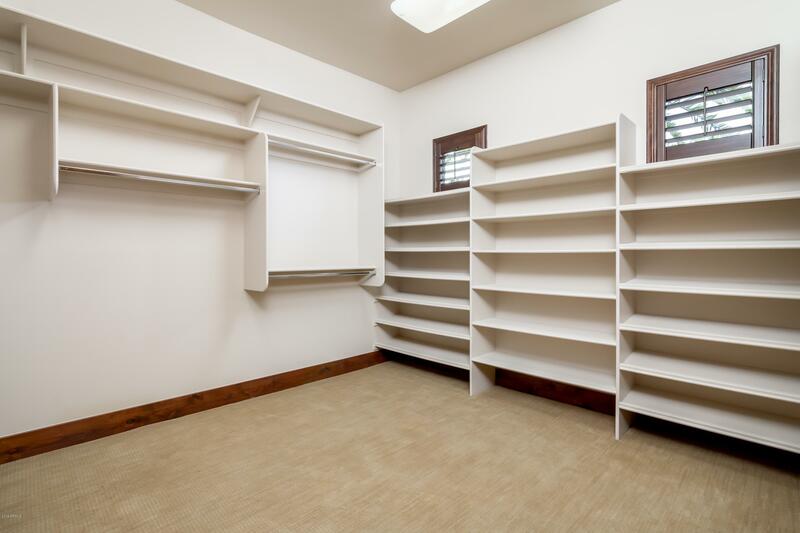 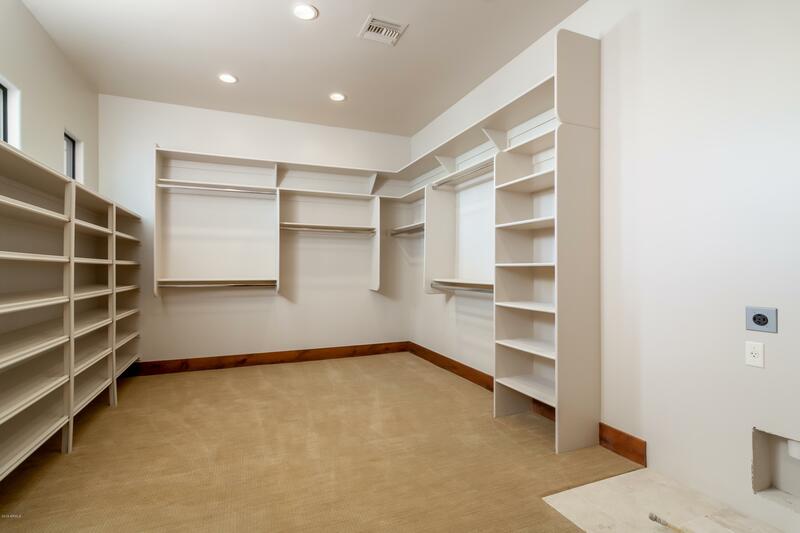 All guest bedrooms are complete with walk in closets and en-suite with private bathrooms. 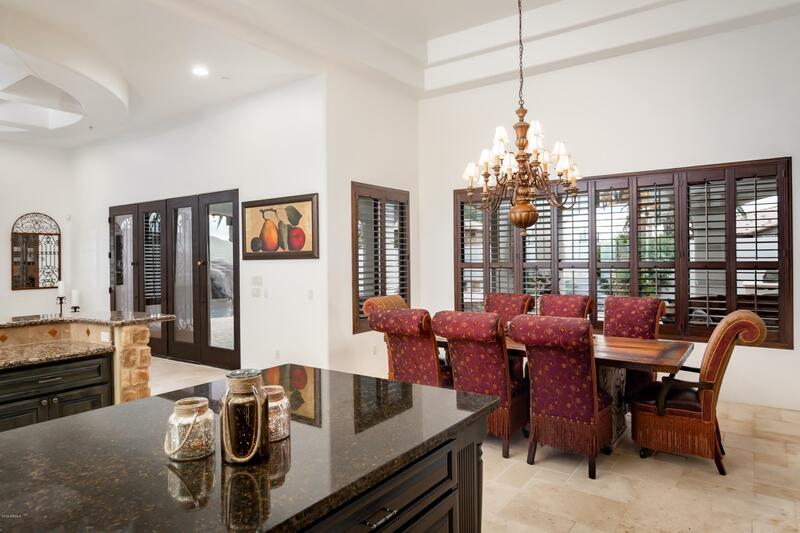 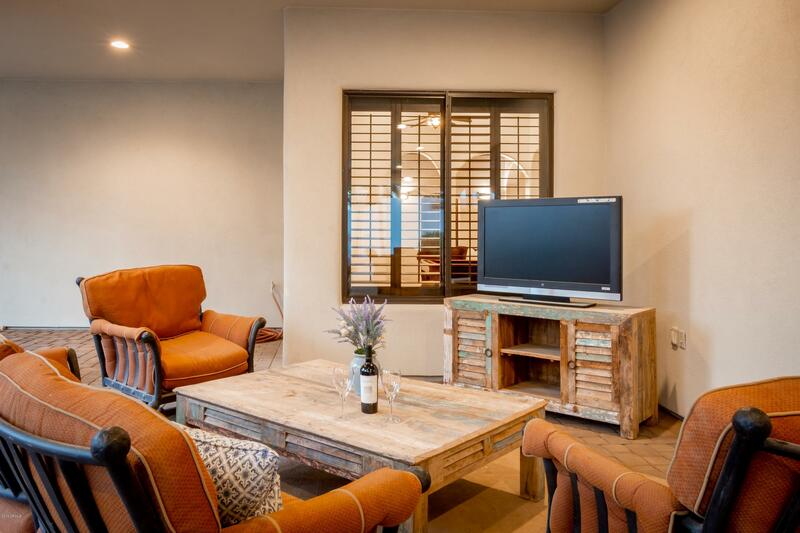 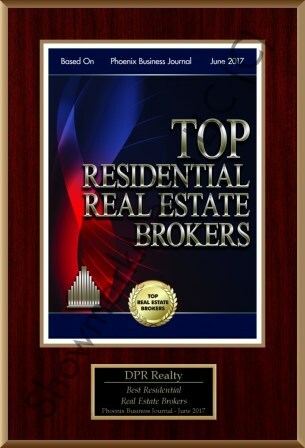 Master Retreat is over-sized and luxurious to accommodate the most lavish in furnishings. 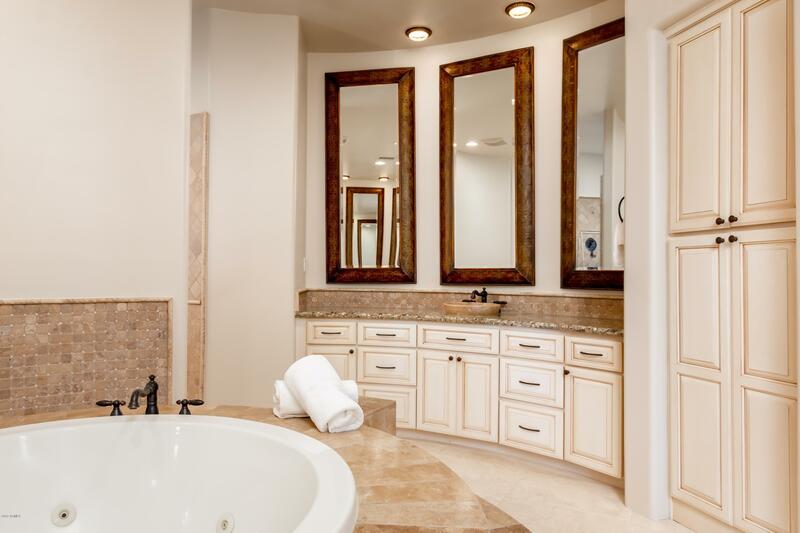 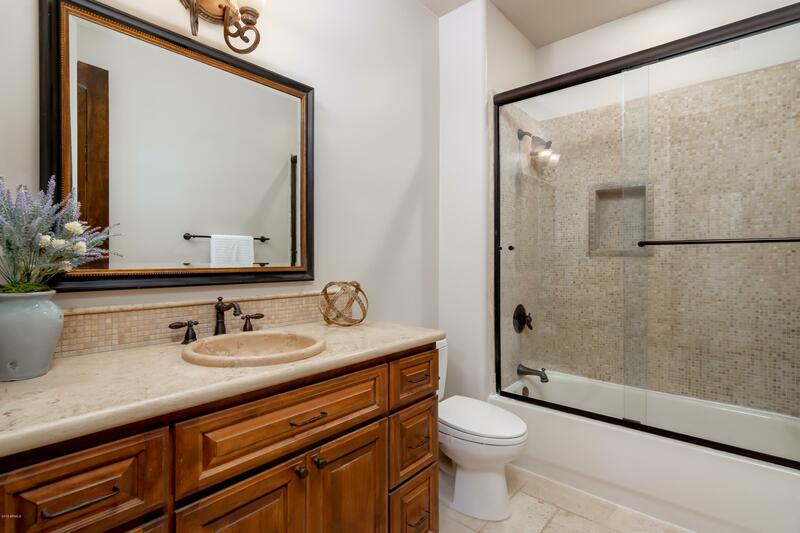 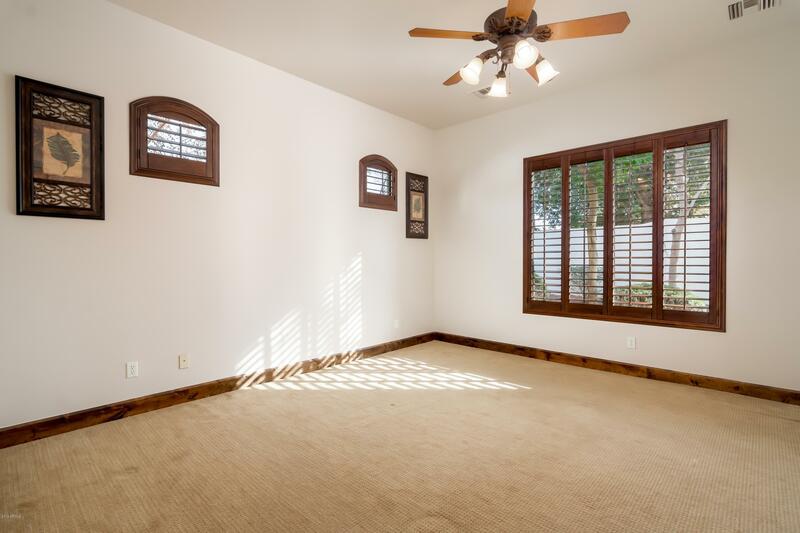 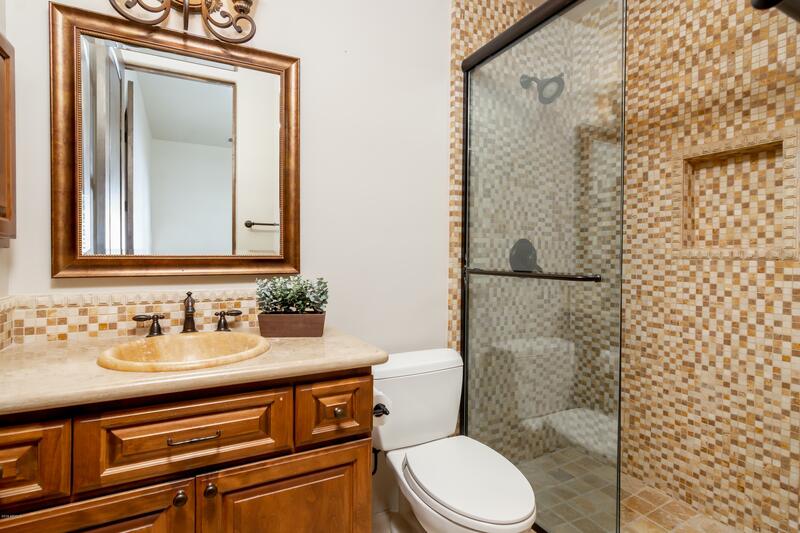 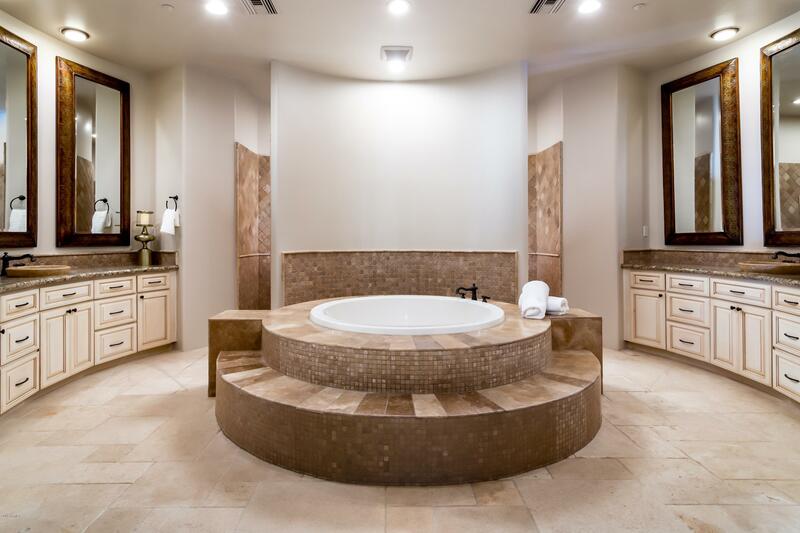 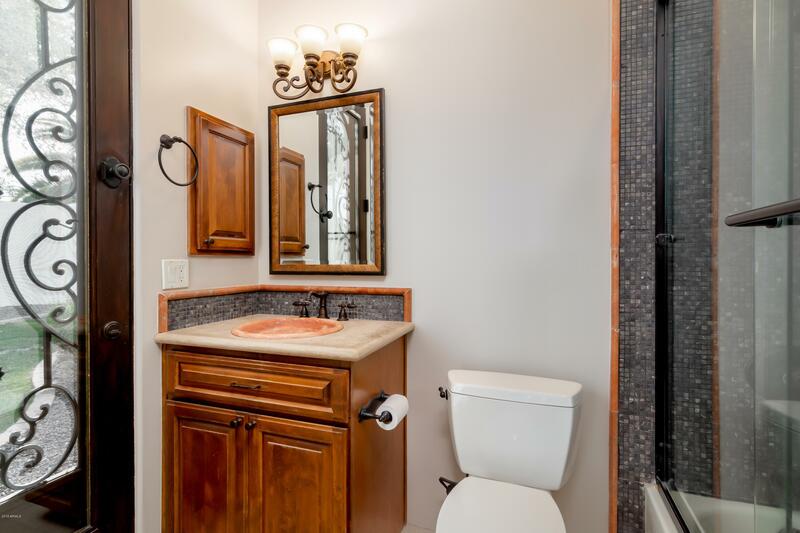 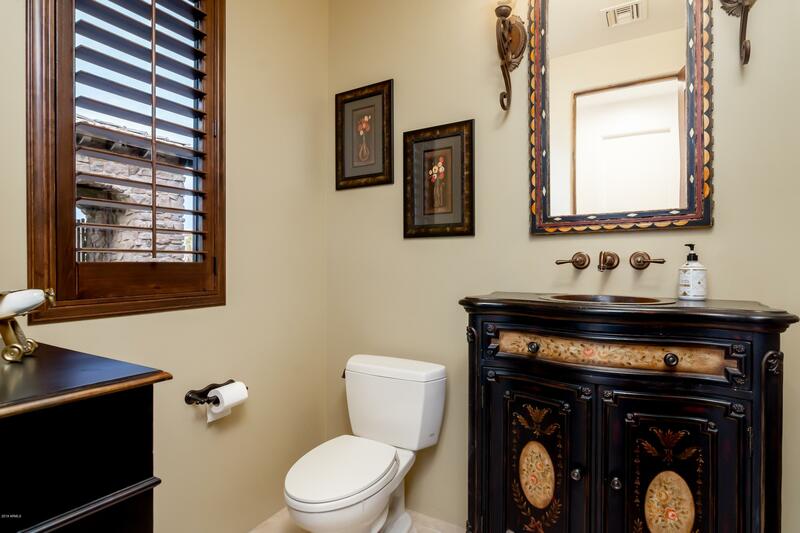 Luxury master bathroom with circular jetted tub, shower w/multiple shower heads as well as body only shower, his/her curved vanities, two large walk in closets, one with washer & dryer hook-ups & built in ironing board. 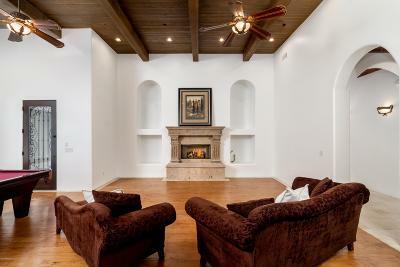 The ceiling detail in the family room adds to main relaxation headquarters room appeal. 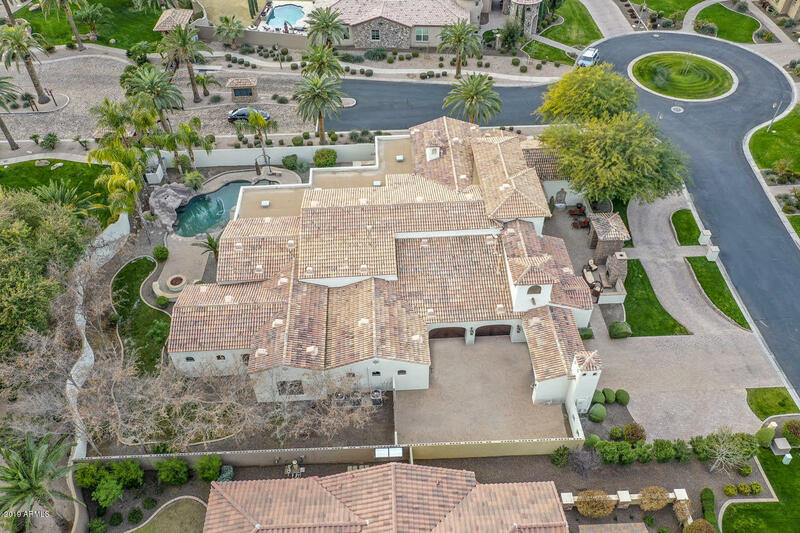 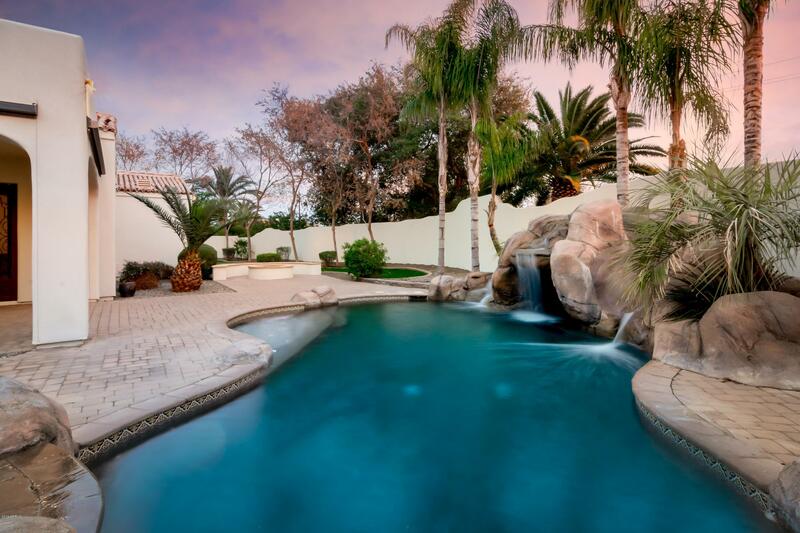 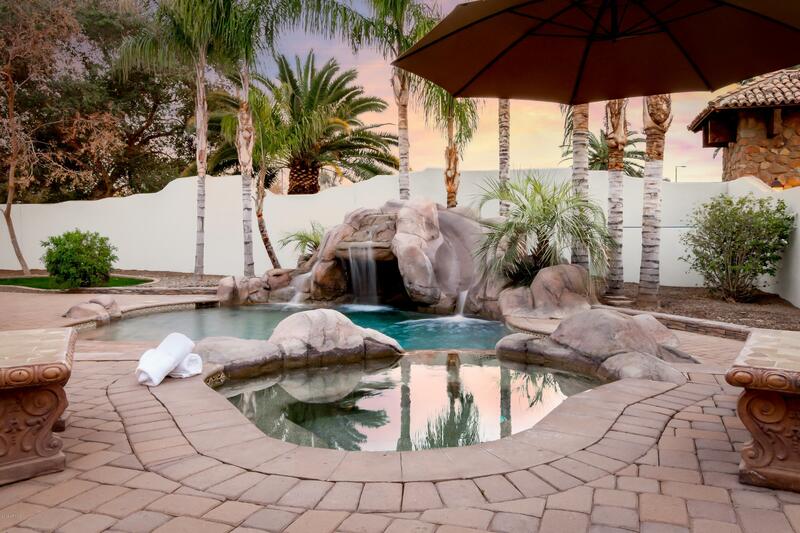 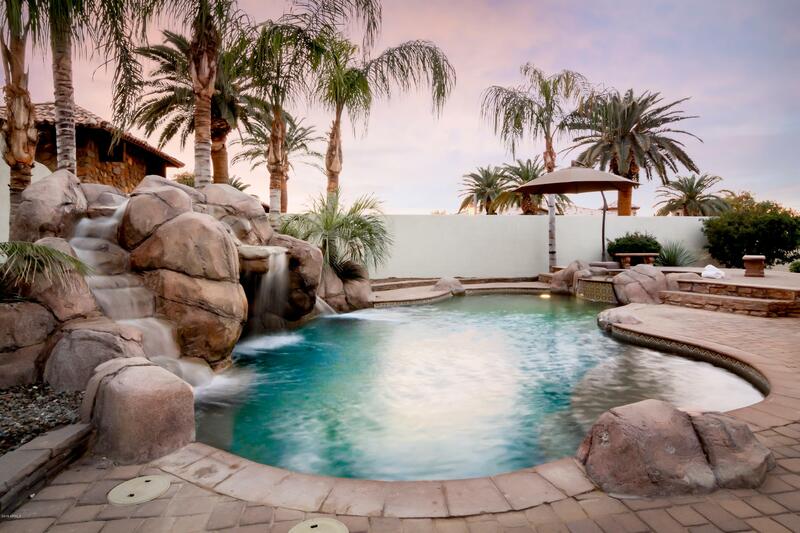 Estate sized lot has an incredible front yard, but the backyard is a true resort oasis from the extended covered patio outdoor living areas, motorized sunscreens, BBQ island area, to the soothing spa and grand pool with slide, grotto cave and roaring water feature. 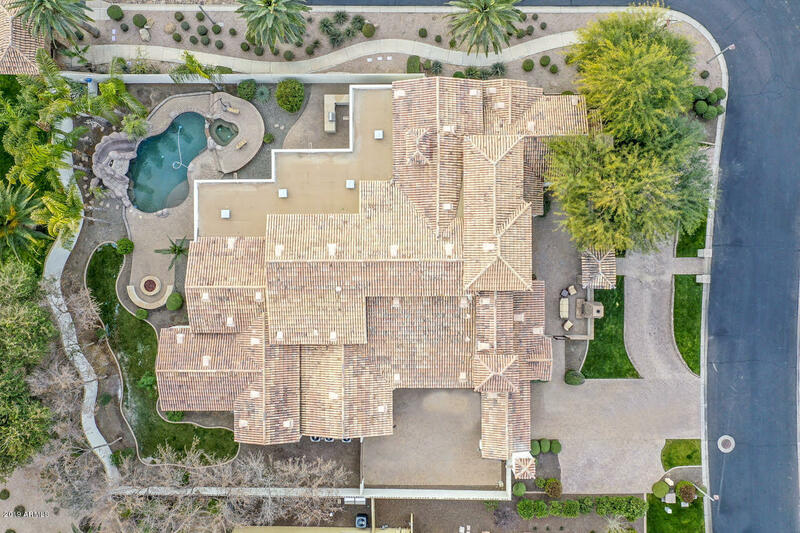 So many other features in this home make it exceptional from over-sized 4 car garage w/epoxied floors, shutters through-out, freshly painted interior, fire-pit w/banco seating PLUS so much more! 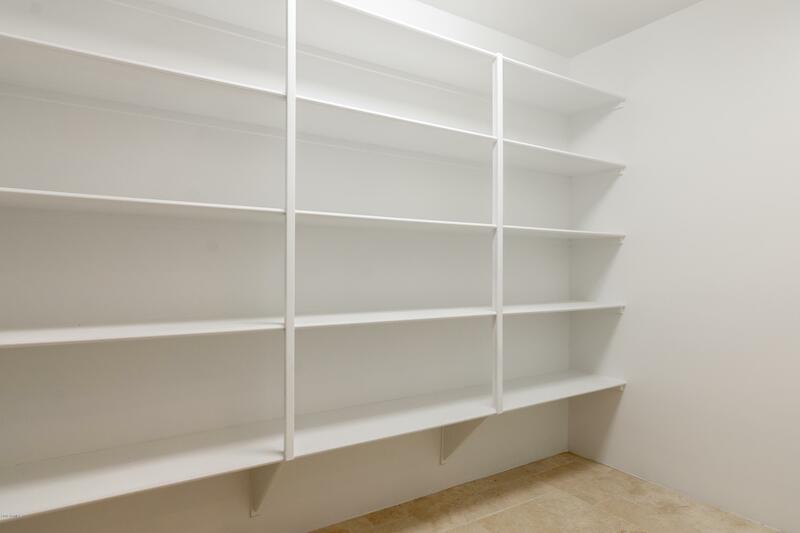 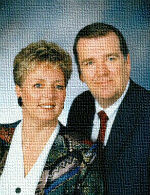 Please see document tab for features.